If you want to prolong your retirement money, try the RRSP. But for estate planning, a TFSA may be the better choice. Q: When my husband turned 60 we set up a spousal RRSP account for me and put his $800 monthly Canada pension cheque into it. We did this because I was a stay at home parent and there will be no pension for me. Now, five years later the balance is at $55,000. My husband is now retired, we live on his employer pension and continue to put his Canada pension in this spousal RRSP that was set up for me. I’m not sure this is the best way to invest that money. Should we be looking at other options? If so should we leave what’s already in the RRSP where it is and start doing something else with new contributions? Again, we contribute about $800 each month. A: Carmel, are you telling me you don’t really need this money, and to save tax your husband is contributing to a spousal RRSP? That was a good approach but you’ll have to deal with the tax at some point. It may be time to switch strategies. Let’s back up a little. At age 60 your husband started to receive a $800/month CPP payment. Did he apply to split the CPP with you? To split the CPP both spouses have to be age 60 or older, and not contributing to CPP. If so it may have made sense to only contribute his taxable CPP to a spousal RRSP and your portion to a TFSA. You weren’t working so you wouldn’t pay tax on it with no other taxable income. When you put tax-free money into an RRSP and then withdraw it, you may pay tax on the money. If you’re not splitting CPP I’d suggest you apply to have it split. It won’t make a huge difference to your taxes but it will make a difference. You can find more information on the application process here. Will making a spousal RRSP contribution drop you into a lower tax bracket? If yes, then make the contribution. Will you earn more of the age credit (OAS, GIS) by making the contribution? If yes, contribute. When your husband makes a spousal RRSP contribution keep in mind that you have to wait two complete calendar years before you can withdraw the money and have it taxed in your name. For instance, if your husband made a contribution in 2017 you’d have to wait until 2020 before making a withdrawal that would be taxable to you, rather than him. If you are going to need this money soon, then stop contributing to a spousal RRSP so enough time can pass so it is taxable in your name. Having said that, with pension splitting it may not affect you. Another consideration is your estate. How important is it to you to leave money to your children? If your plan is to just keep investing this money and never spend it then you’re likely better off to add the money to a TFSA, especially now that your husband is in a lower tax bracket due to pension splitting. The money in the TFSA will pass tax-free to your children. READ: I’m retired, should I contribute to an RRSP or a TFSA? Whether you do a spousal RRSP or a TFSA you are not going to be making a mistake either way and I am not in a position to say which approach might be slightly better. 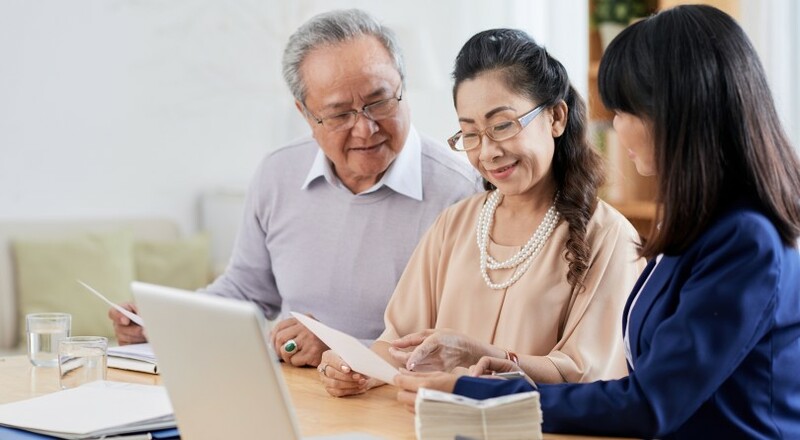 If it’s about making sure you have enough income for retirement I may lean toward the RRSP: if you’re thinking about your estate the TFSA may be better. Allan Norman is a Certified Financial Planner (CFP) with Atlantis Financial and Investment Advisor (CIM) with Aligned Capital Partners Inc. in Barrie, Ont. My advisor sold me high-fee funds. Should I dump her? Do I pay tax on dividends after I withdraw my fund from a TFSA?